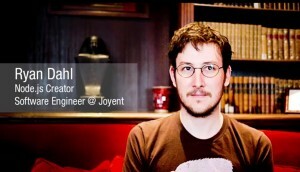 The project has been develop and sponsored by Joyent, company where Ryan was working. Nowadays he is still working there, but has stepped back, delegating the gatekeeper position to Isaac Schlueter on January 30, 2012. From a developer perspective, the amount of innovation the Node.js community is creating is simply astonishing, and that’s also because one of the three other key tools a Node.js developer must known: NPM. But this is a story we will address another day.